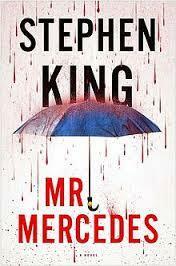 Mr. Mercedes is probably the first straight up crime book Mr King has written. (Were his Bachman books crime thrillers? I can’t seem to remember.) For some reason Mr. Mercedes reminded me of The Cuckoo’s Calling by J.K. Rowling; not because the books were that similar, but because they’re both super-famous authors writing outside their usual genre. On one cold morning, the Mercedes killer drove a car into a crowd. He never got caught. Retired detective Bill Hodges one day gets a letter of this Mr. Mercedes. A cat and mouse game starts, with very high stakes. But who is the cat and who the mouse? The prologue of Mr. Mercedes was perfect. Seriously, it’s one of the best pieces of written fiction I have ever read. 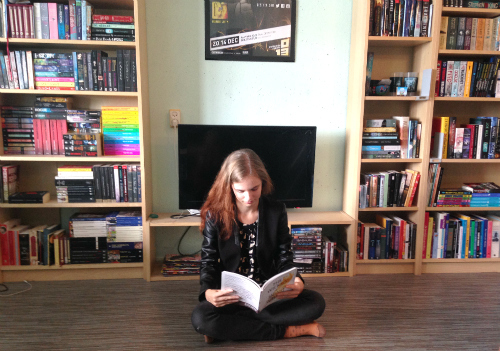 When I told my boyfriend what happened in the prologue, he was quiet for a bit and then said “But… that’s so sad!”. It has such an effect even when you talk about it. The prologue reminded me once again why I adore Mr. King’s writing. He has absolutely no restraint or fear for going too far, and his writing often packs a huge emotional punch. Maybe because my hopes were sky-high by the end of the prologue, that the rest of the book just couldn’t compare. It was still great, and the ending was an absolute nail-biter, but it wasn’t as emotional as the prologue. What I really liked about the story was that it all fit. At no point I was like “oh god, this is so unrealistic”, as plots of well-known crime series often are. There is no magic hair in the car that leads to the killer. Neither is Bill Hodges some kind of super cop that captures the killer when his lowly other cop friends are extremely incompetent. As there are also chapters from the killer’s point of view, we can see how they both make misconceptions about the other. On one hand this makes the story more believable, but on the other it can slow the plot down at times. The ending again was perfect. There are some pretty awesome side characters in Mr. Mercedes, and they play a pivotal role in the end. Especially Holly, the middle aged mentally ill woman, I loved. She develops as a person and comes out of her shell, and it was just so well done.